Architects, contractors, and developers all agree that it’s easiest to build a new building in the shape of a rectangle. Well, a square probably works too, but the key point is that right angles are desirable, angles create a challenge, and rounded corners look cool but they’re a real pain during construction. Thankfully, downtown Philadelphia is built on a grid for the most part, and the majority of the buildable lots are shaped like rectangles. But you still have to account for those pesky diagonal streets, like Ridge Ave., Passyunk Ave., and Point Breeze Ave., which create oddly shapes lots as they break up the surrounding grid. The intersection of Point Breeze Ave. and Dickinson St. is no exception. 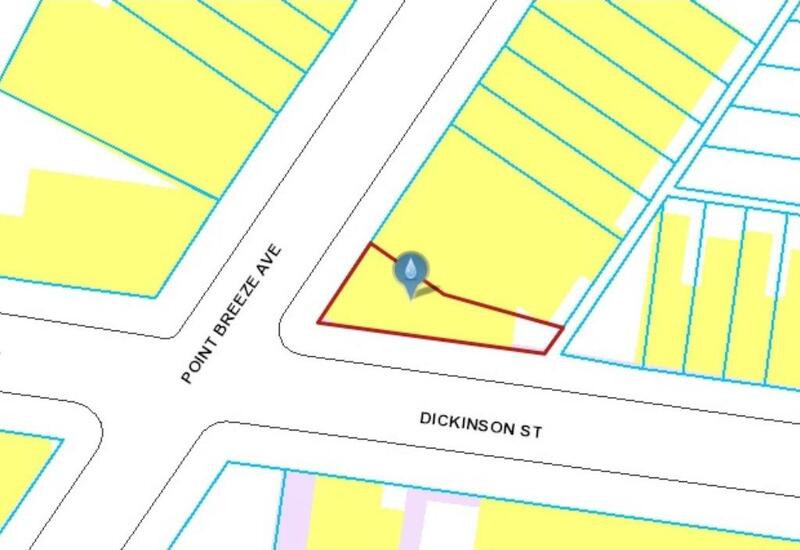 First, let’s consider the unusually shaped parcel at 1453 Point Breeze Ave., which is highlighted in the image above. The front of the lot is 30′ wide and the back is only 11′ wide. This makes design and construction complicated, which might explain why the property was sitting empty for decades. Fortunately, Mural Arts dressed up the property for almost twenty years with the “Dream in Flight” mural, which was painted by local artist Josh Sarantitis. If you visit this corner today, you’ll notice that the mural is now hidden by a new building that’s under construction. On the one hand, it bums us out to see this beautiful mural covered up by new construction. 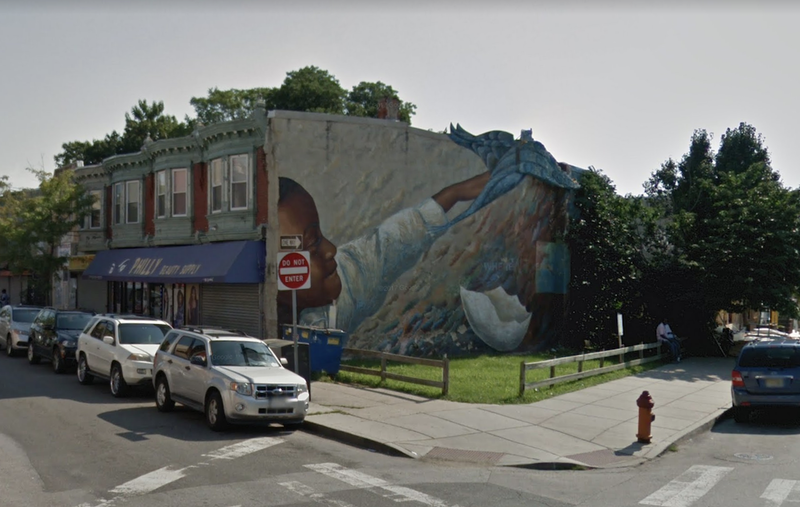 But it’s important to keep in mind that this mural was painted on a party wall with a vacant lot, and a vacant lot on a commercial corridor is inherently undesirable. This mural, like so many others before it, beautified an otherwise blank wall and acted as a placeholder until development became feasible next door. 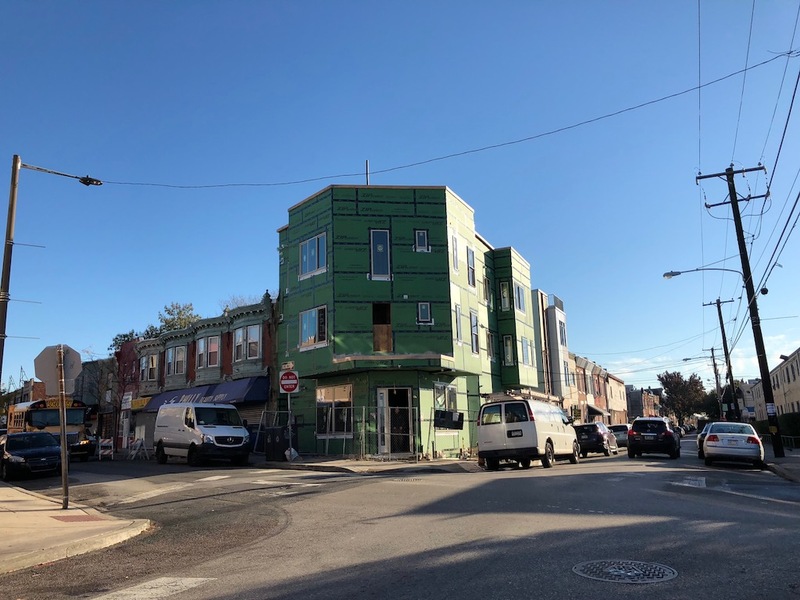 Though Point Breeze has seen an explosion in residential development over the last number of years, construction has largely lagged on the neighborhood’s commercial corridor. This new building, which has four apartments upstairs and a retail space downstairs, is a notable exception to the trend. As was the case with the King of Jeans building though, whatever retail tenant eventually opens here will need to get rather creative with the way they lay out their space, due to the odd shape of the property. The project next door is perhaps a little less exciting, as it’s just a one-off new construction home. But if you look back at the first image above which shows the view of the property on the map, you can see it’s going to be a very unique building when it’s finished. Due to the triangular shape of the lot, the builders are building a home shaped like a Tetris piece, with full coverage at the front property line, then a breezeway on one side as the building goes back. We would have preferred a home in the shape of a triangle, but like we said, that kind of construction can get expensive quickly. 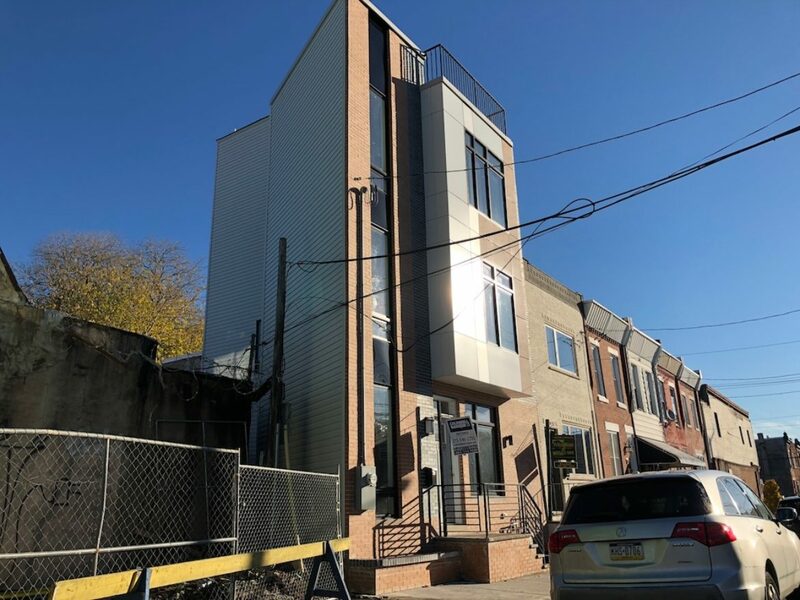 A builder can probably get away with making such choices on a mixed-use building, but for a single home in Point Breeze, we understand why they squared it off.